Send Pay-As-You-Go PostSnap postcards for just $2.75 each including free 1st Class US mail – or from just $1.91 when you take the option to use PostSnap PrePay. Use your own photos to send real, printed postcards, personalized greeting cards, invitations, announcement cards and canvas prints. We also offer a fast, easy to use photo printing service – print your Instagram, Facebook and digital photos direct from your phone! Our high-quality cards, canvases and prints are will arrive quickly from our print facilities located in the USA, UK and Australia. Our customers love us - we are rated 9.5 out of 10 on TrustPilot and 4.8 out of 5 on the App Store. The PostSnap app makes it fun, quick and easy to send real, printed postcards worldwide. Our postcards are printed on thick glossy card and are available in two sizes - 6 × 4” and 7 × 5”. Prices start from just $2.75 each including free 1st Class US mail. Print your pictures quickly and easily from just about anywhere. We offer professional quality 6 × 4″, 7 × 5″, 8 × 6″ and 10 × 8″ photo prints and square 4 × 4″ and 6 × 6″ photo prints. We deliver your pictures straight to your door within days. Buy your greeting cards the easy way using the PostSnap app. Our large, folded photo cards are printed on thick, glossy card. PostSnap photo cards are 7 × 5” and cost just $4.50 including 1st class US mail. Turn your photos into big beautiful works of wall art! PostSnap prints your photos on top notch canvas wrapped around a sturdy frame which comes complete with a hanging kit. Canvas prints are available from 12 x 8” up to 24 x 16” and cost from $39.99 plus shipping. Make hosting a party easy with our packs of invitations. Upload your photos to make personalized invitations to parties, get-togethers and drinks and nibbles. Add the date, time and make sure to tell your guests to RSVP and you have your own personalized invites! Prices start from $1.00 per invite (pack of 120). Got news you just have to share? Our announcement cards come in packs of 8 in 6 × 4″ and 7 × 5” and are completely customizable to make your own unique announcements. Envelopes are included so you can forward them on with any address to share the excitement! Prices start from $28 for a pack of 8 cards and envelopes. • Reorder cards from your order history! Order extra invitations and announcements for last minute guests! • Send your cards to your recipient or back to you with a spare envelope! 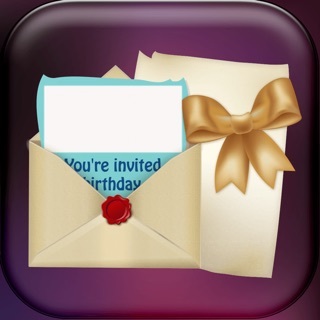 • Free reminder service: never miss a birthday or occasion again! • Easy referrals – share and send your referral code using Facebook, Twitter and WhatsApp and get yourself lots of free cards! * No account required if you use Apple Pay. ... so good! I’ve just sent my first “large” postcard off so I won’t have any idea how the printing looks until a week from now, if it is in fact delivered in a timely manner to arrive to its destination within the next 7 days. Other than that, the process is super user-friendly and what I supremely love about this particular postcard app is how it allows customer to both have prepaid credits as well as the option to pay straight from our PayPal or debit/credit cards in case we might want to save our prepaid credits for another time, perhaps when money gets tight or something. After using it for camp, I immediately saw the value of using it when traveling, as well. Most of my friends are on social media, but Postsnap is fantastic for sending photo cards to my 92 year old Father-In-Law, to keep him in the loop of where we are and the sites we're seeing; or even just to share current photos of the kids. Even my connected friends like a hard copy for the fridge! This is a great app. Simple to use. Fun. I have used the Postsnap app about 4 times now, and love how simple it is to find what I need. The app takes you through the process of creating a card, asking you to choose photos, add text, and I like having the address book feature. I also like the Prepay credit feature. I entered all addresses into my address book so I can quickly type up a message and insert an address, then send off my card without having to enter in my payment info. I have seen the finished products and they are really nice postcards with high-quality images. I am out of country for a few months right now, so the Postsnap service and app are invaluable to me as I want to keep in touch with my family but don’t want to deal with foreign postal services. © 2019 Tech Tent Ltd trading as PostSnap.